“pH” stands for power of hydrogen. It is a measurement of the hydrogen ion concentration in the body. The pH scale ranges from 1 to 14, with 7 considered to be neutral. 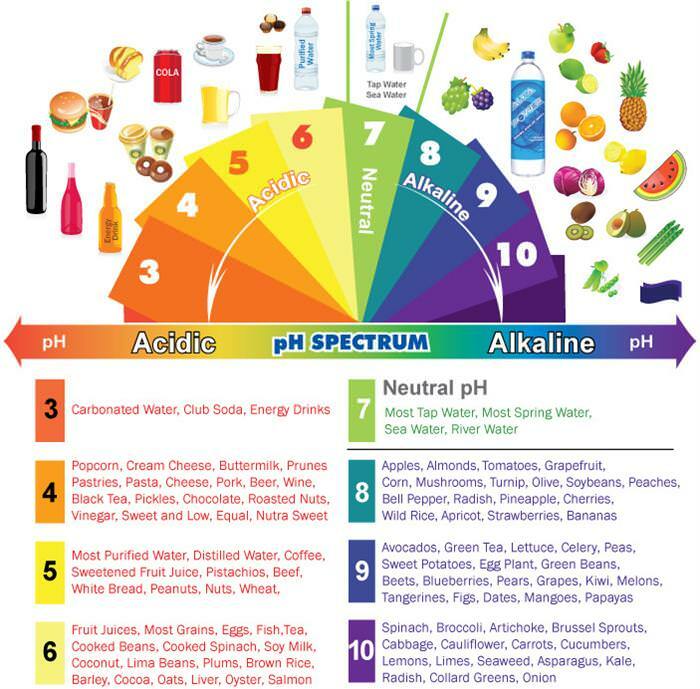 A pH level lower than 7 is considered acidic and pH levels greater than 7 are basic (or alkaline). The ideal pH in humans is slightly alkaline (7.30 to 7.45). Categories: FOOD & NUTRITION, PHYSICAL HEALTH | Tags: acidity, ph | Permalink.